Backstage, Weiss told reporters that even with his experience, he couldn’t plan a surprise like that. 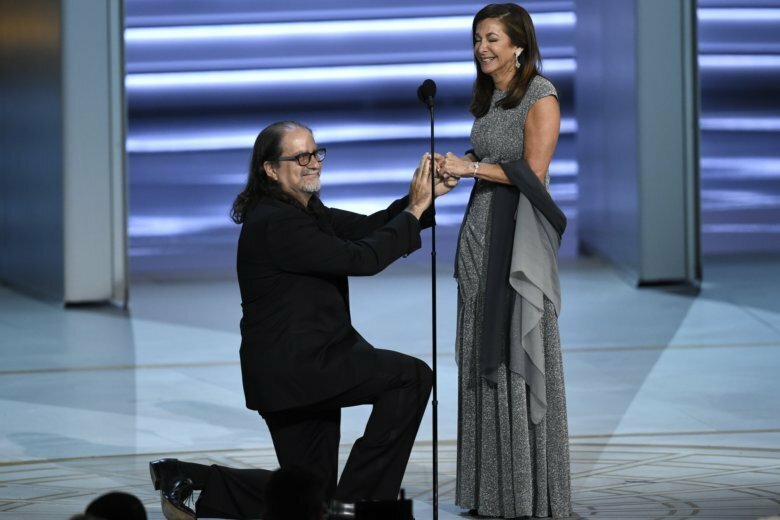 The couple who met in 2001 working together at the Tony Awards has been together for about a decade. They’re quite used to attending award shows together, so Svendsen said it felt like a normal day for the most part. Weiss said he only told his father about his plan to propose, since he needed to get the ring from him.